On the 27th of July the island of Koh Samet, in Rayong province, was ravaged by an oil slick from a ruptured off-shore pipeline. 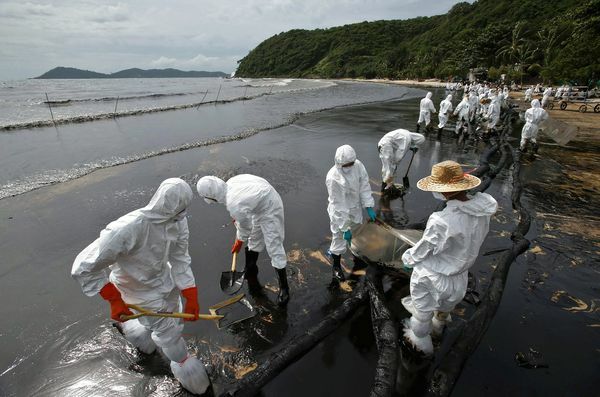 In excess of 50,000 litres of heavy crude oil escaped and began washing ashore. 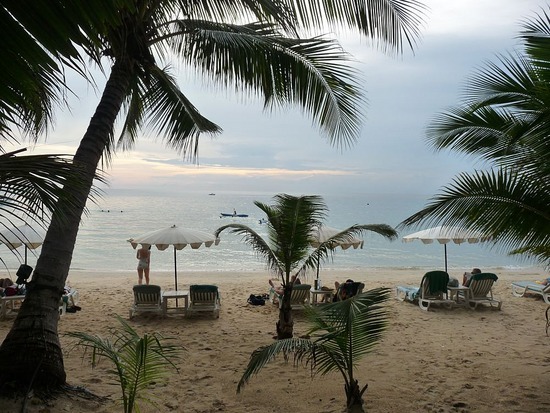 The worst affected area was Coconut Bay, known by the locals as Ao Prao, which is one of the prettiest and most popular beaches on the island. Unsuprisingly, the spill has had a dramatic effect on tourism, with boat-loads of visitors leaving the island and many more cancelling their bookings. There are also concerns about long term chemical contamination and the impact on the local fishing industry. The incident has once again highlighted the spectacular ineptitude of Thai government officials. 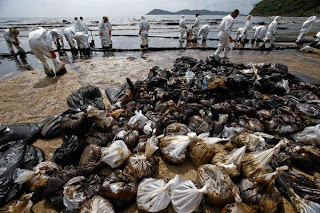 The tourism minister, Somsak Phurisisak, is reported to have said "I'm very concerned, I didn't think this spill would impact tourism in such an extreme way". How did he think the spill was going impact tourism? Does he really believe tourists enjoy sipping their Martinis and Strawberry Daquiris with toxic sludge lapping around their ankles!!!! F*cking idiot!!! However, my "Sherlock Holmes award" for the individual displaying the greatest powers of deduction goes to the chairman of the provincial tourist association who said "Samet is popular with Russian and Chinese tourists but they won't stay long if this mess isn't cleaned up". Elementary, my dear Chairat Trirattanajarasporn, elementary.